Admittedly, one of the most difficult decisions that parent’s face when they begin thinking about their family photos is what everyone is going to wear! While the match-matchy trend has faded, we prefer to have our clients wear their everyday attire, just dressed up enough to stand out, and to coordinate multiple colors throughout the children’s outfits. I know, I know, easier said then done! But this mom wowed me with the beautiful colors that she pulled together for not only her and her husband but her three gorgeous girls as well. I just love how they all pop of off the background and how it adds so much color, fun and life to the photo. And now if this isn’t the sweetest little picture of two big sister’s loving on their baby sister, I don’t know what is! These three girls already have an inseparable bond! Daddy is going to be one busy guy chasing all the boys away. Here’s just a peek at this beautiful family! 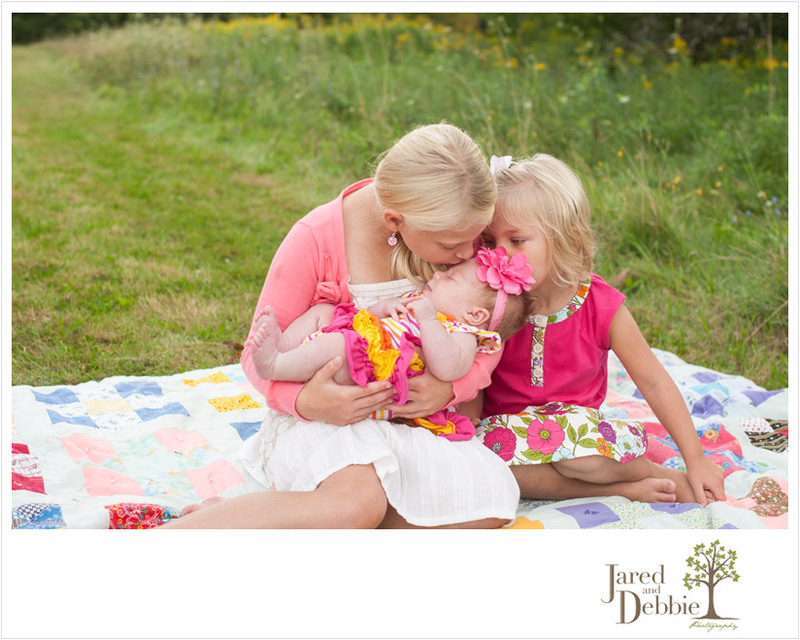 Stay tuned for more images from their family portrait session!